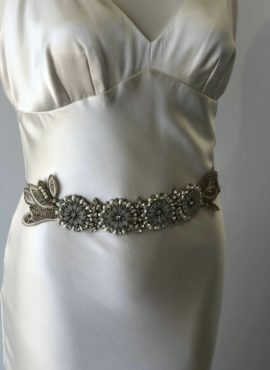 Enhance your bridal look with the timeless charm of a vintage-inspired special-occasion bridal sash. 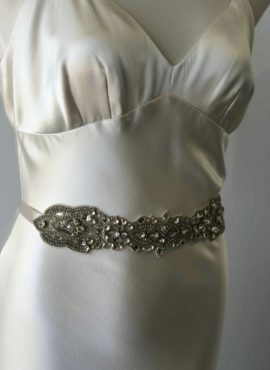 Hand made from Swarovski crystals on a satin sash for an oh-so-feminine look. La Belle headpieces are available through The Barefaced Bride on an order basis. We can provide you with a bespoke custom order as well. 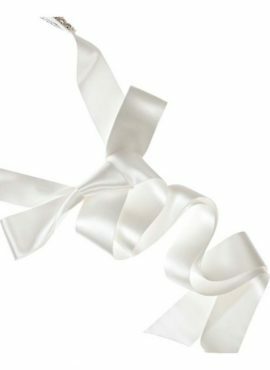 Sashes are handmade in Australia and ready to ship within 2-3 weeks from date of purchase, unless otherwise stated. 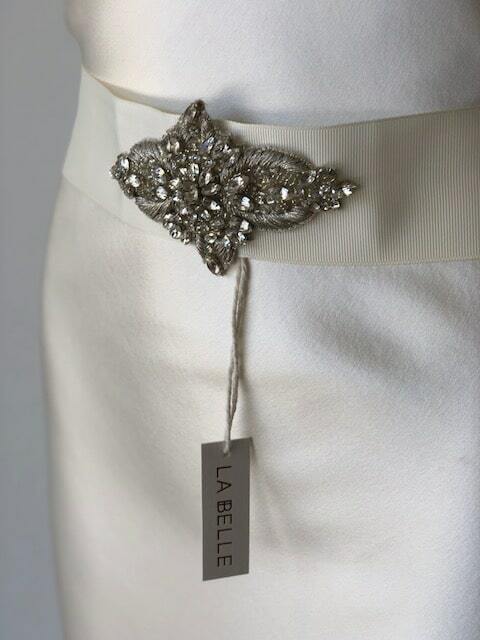 Enhance your bridal look with the timeless charm of a vintage-inspired special-occasion bridal sash by La Belle The Label. 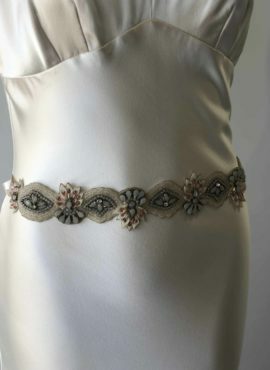 Hand made from Swarovski crystals on a satin sash for an oh-so-feminine look. La Belle headpieces are available through The Barefaced Bride on an order basis. We can provide you with a bespoke custom order as well. Sashes are handmade in Australia and ready to ship within 2-3 weeks from date of purchase, unless otherwise stated.